Amid the mad dash of season 7 location filming, I thought it was time for a quick Game of Thrones casting check-in. 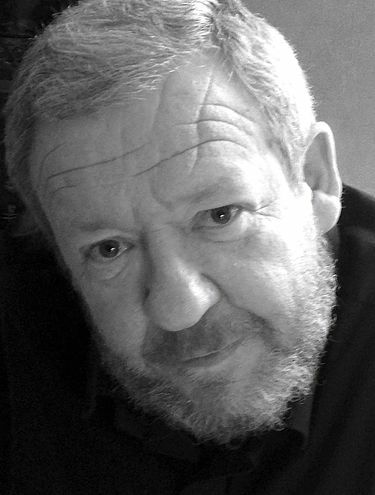 Watchers on the Wall has learned that Irish actor Philip O’Sullivan has joined the cast this year. His character doesn’t have a specific name that we can find as of yet, but his place in Westeros is clear. According to the actor’s agency CV, “Philip most recently wrapped filming the role of Citadel Maester on season 7 of the HBO series GAME OF THRONES.” So we can count on seeing O’Sullivan at the Citadel where we left Samwell Tarly in season 6. His detailed CV lists the director for his episode simply as “Various.” Sometimes that indicates a recurring role, but it also sometimes is just used as a placeholder so that’s something to bear in mind. Most notably, O’Sullivan has had recurring roles on Vikings and The Tudors playing bishops. In other casting news, another return is now confirmed for season 7. Spoilers below the cut! 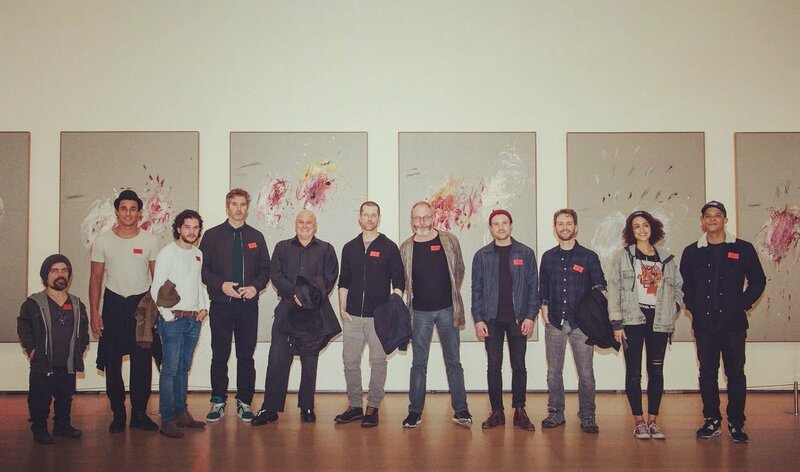 The cast of Game of Thrones visited the Guggenheim Museum in Bilbao yesterday, and the museum posted a group photo of the gang on their official Twitter. The photo shows (along with Peter Dinklage, Kit Harington, David Benioff, Conleth Hill, Dan Weiss, Liam Cunningham, Joe Dempsie [they’re not hiding him at all anymore], Matt Shakman, Nathalie Emmanuel and Jacob Anderson) that Staz Nair is with the cast in Basque Country during filming. Nair played the Dothraki warrior Qhono in season 6, and was last seen bowing to Daenerys after she torched the khals in “Book of the Stranger.” The actor made a splash playing the title role in “The Rocky Horror Picture Show” this week on Fox, but is now headed back to Thrones territory. We hear that his role this year will be recurring as well. Since Daenerys acquired a massive khalasar in season 6, it would make sense to keep some familiar faces around and Nair appears to be one of them. First images of a monumental meeting between major Game of Thrones characters! Sam’s adventures at Hogwar…..err…the Citatel! 😛 Should be fun. I wonder if he is the Grand Maester (or similar title) of the Citadel, who will rule Westeros after the WW’s have been defeated and all the magic removed from the kingdoms? Hah! This cracked me up. But really, they have to know… what’s the point now? It’s been reported all over in news sources and fans who would be following the Twitter have no doubt already read about it. LOL! So who is Broadbent gonna play? I’m still betting a (named) Maester, they need more than one anyway and the guy above seems minor. I know that we already knew he was returning, but I am delighted that we have further evidence that Gendry is back for season seven. With all the returning characters we had in season six, it made his absence stand out so much more. While it seems he will reconnect with Davos, I hold out hope that he will eventually reconnect with Arya also. They had such a great on-screen chemistry and relationship, and I think that encountering Gendry again may help bring Arya back from the vengeance obsession she developed. The return of a familiar Dothraki face is also a welcome sight – we have Grey Worm as the face of the Unsullied, so it is great to have someone represent the Dothraki. It will also be interesting to see how both the Dothraki and the Unsullied adapt to the customs, people, climate and terrain of Westeros. If this Citadel Maester has finished filming, then the scenes with Sam at the Citadel have already been at least partially shot. I am so looking forward to seeing what he learns there!! Interesting as well when looking at the gathering of the cast – if Jorah is to meet up with Team Daenerys again next season, then it looks like it will take place after this presumed meeting with Jon and Davos. Jon and Jorah is an encounter that would prove to be intriguing – after all, Jon saved Jeor’s life and avenged his death; it was Jon that he chose to succeed him and Jon that he gave his family’s sword Longclaw to. Aside from that, the current head of House Mormont is one of Jon’s greatest supporters. I can’t wait to see what’s up with Sam!! While an Archmaster is most likely, I still think that there is an outside chance of Jim Broadbent playing Lord Hightower. Welcome, Maester! I don’t actually know much about this actor at all, so that’s exciting. Anyone else having way more issues with ads on the site than usual? I use my smartphone, and ads now block the actual text of the page with no option to close them, or open into a full page ‘security threats!’ message (fake) and I need to close the page completely and go back in another tab. Bloody annoying, and I have a pop-up blocker. Sam’s is easily the most inscrutable plot at this point (he’s also the main character who, in the books, we haven’t heard from for the longest period, no new Sam material having seen the light of day since 2005). Agree Archmaester (most likely some version of Marwyn) is the logical role for him to have, but I love the idea of him playing Leyton Hightower! And we both met and heard mention of Ser Gerold Hightower in season six. http://www.eitb.eus/es/noticias/sociedad/videos/detalle/4456808/video-graban-juegos-tronos-san-juan-gaztelugatxe-bermeo/ Video of Emilia arriving on set today. Kit, Peter, Liam and Nathalie. Alba Stark: The return of a familiar Dothraki face is also a welcome sight – we have Grey Worm as the face of the Unsullied, so it is great to have someone represent the Dothraki. It will also be interesting to see how both the Dothraki and the Unsullied adapt to the customs, people, climate and terrain of Westeros. I’m pretty sure that we will eventually see this – though at the moment I am leaning more towards season eight for the Dothraki encountering it. I am surprised to feel so happy for the return of Staz Nair. 😀 I actually wondered what happened to him after the Khal BBQ in 6.04. I wouldn’t have minded if the Lhazareen Khaleesi had also become part of Daenerys’ crew – she so wanted to see dragons, lol! Good to have a maester cast already. I wonder where Sam and Gilly will end up in the season finale – perhaps arrive at KL after it has fallen from Lannister hands? Honestly I don’t see the point of going to the Citadel anymore. At first I thought Oldtown would be a central location in the season, including a battle between Euron and Dany, Sam, Jorah and a Faceless Man. Sam would then introduce Dany to the threat of the White Walkers, the prophecy and point her to Jon. And now it’s clear that Jon and Dany will meet on their own, Euron and Team Targaryen will be fighting elsewhere (probably King’s Landing). So… other than Sam learning a new way to fight the White Walkers it seems to me Oldtown will end up being a dull waste of time. Hopefully Broadbent will be Marwyn and improve that storyline, at least. GoT/RHPS crossover? Gods yes, someone please make this happen in fanfic! Kay: I am surprised to feel so happy for the return of Staz Nair. I actually wondered what happened to him after the Khal BBQ in 6.04. I wouldn’t have minded if the Lhazareen Khaleesi had also become part of Daenerys’ crew – she so wanted to see dragons, lol! I’ve been checking around to see if Ornela the Lhazareen or the High Priestess Dothraki are returning, but so far it seems like they might not be back. I would be surprised to see Dothraki women as part of Dany’s army. Dothraki women don’t fight and Tyrion told Dany the boats would be ‘barely enough’. Sue the Fury: I’ve been checking around to see if Ornela the Lhazareen or the High Priestess Dothraki are returning,but so far it seems like they might not be back. Thanks. However, the Dothraki women were not there when Drogon appeared in Season 6 and Danerys chose every Dothraki as her bloodrider. So I assume both of those women went off to build happy lives elsewhere! I guess the book geek in me just loved that view of the Great Library sooo much that I am really looking forward the Oldtown arc. I want to know what brought the magic back and how it fits in the overall themes of the series. Good to see that they are casting for it and pursuing answers to my long-standing questions. Can’t wait to see that library again! I feel so bad for Nathalie, she seems genuinely upset. She wants to film in peace and deliver a memorable Season 7 for the fans. I enjoy that filming spoilers, but when genuine cast members like Nathalie are bummed out it really puts a damper on it. She’s on the biggest TV show in the world and filming in a tiny town. People are going to take notice. It comes with the job. Any news if Ania Bukstein who plays Kinvara might return? Not yet, but I’ll do some digging. Honestly I don’t see the point of going to the Citadel anymore. Remember Benioff called the guy who shot the Tower of Joy stuff last year an ahole. I don’t quite understand those type of reactions to be honest with you. Sure, I get not being thrilled with things being spoiled, but they’re shooting out in the open in an age where you can record in 1080 on a pocket size camera phone and upload it to millions of people 30 seconds later. You’d have to think this isn’t shocking to them that it is going on. And if they don’t like sites such as this one either, than I find that even dumber. I can’t wait to see Dany’s reaction to snow and Snow. Speaking of returning characters, does anyone know what Tom Wlaschiha is up to these days? orange: And if they don’t like sites such as this one either, than I find that even dumber. In the words of Samwell Tarly, “Oh my!” I’m ready to catch the next flight to Berlin. In the words of Samwell Tarly, “Oh my!”I’m ready to catch the next flight to Berlin. Right??? I once watched a 20 minute interview in German just to hear his voice. Sigh. I do hope he’s back, he still refers to himself in the third person a lot. LOL. As a person who finds spoilers not to spoil anything for me, they can deal with it. ? Honestly, there’s an observation post right overlooking the site that isn’t closed off, not sure how they expect people to not be curious. And I would definitely read the last page of novels. I’m such a monster! And I thought I was the only non-German speaker to have done that! Glad to know I’m in good company. Me too. I just upgraded my phone to iOS10 and now I suddenly can’t read the entire paragraph underneath the group photo on account of a Google ad that can’t be minimized. ? I could live with this actor being the face of Marwyn. But I’m still hoping for him to be a big enough role to engage an actor of the stature of Jim Broadbent. Really, really hoping that they do justice to the Citadel subplot, which I find totally tantalizing. The actor above looks like a better fit for Marwyn as he has a Craggy and tough look about him. Broad bent doesn’t come across like that. Great range yes but not ruggard. I agree that this actor does look more like Marwyn, but Broadbent’s role is meant to be significant, and Marwyn is the obvious Citadel character for that. They shifted the Elder Brother/Septon Meribald amalgamation to suit Ian McShane, and I think there is a chance they may do the same for Broadbent. I was wondering about Nair…he was the only one who survived the dany capture and escape. I wonder how they’ll handle the Dothraki language barrior.